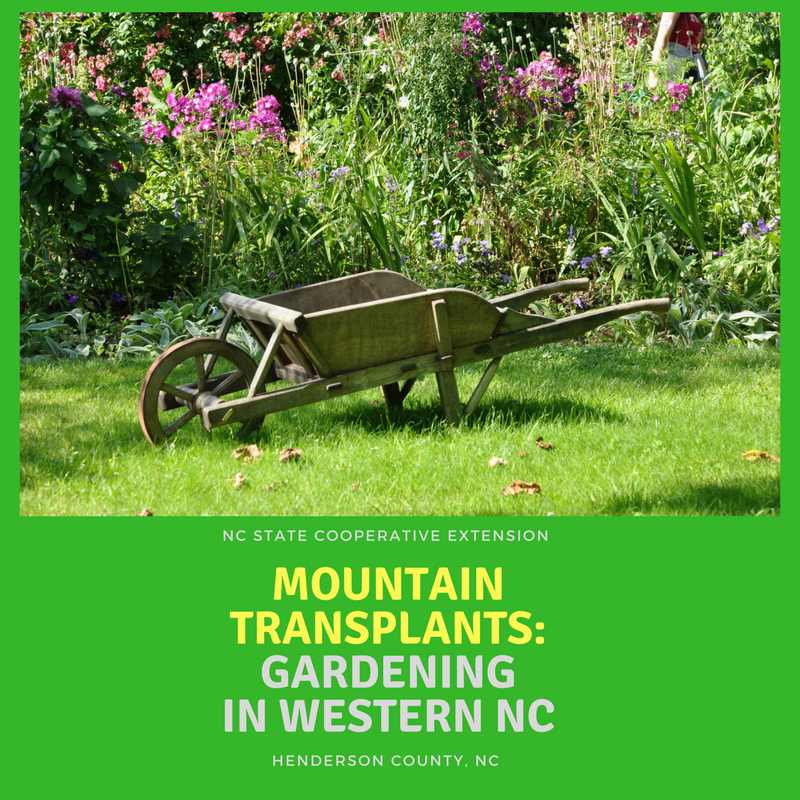 western North Carolina by attending these classes offered by Henderson County Cooperative Extension. Mountain Gardening Favorites May 14, 2018 – 6:30 p.m. Gardening for Pollinators in Western North Carolina – June 7, 2018 – 6:30 p.m.
– Steve Pettis, Henderson County Commercial and Consumer Horticulture Agent will instruct. Butterflies, bees, and green lacewings are just a few of the insects that benefit humans. In this class you will learn how to identify pollinating insects in the landscape and vegetable garden. You will also learn which plants feed, shelter, and provide habitat for pollinating insects. Also, you will learn how to build a pollinator house! Pesticide use can harm beneficial insects so we will learn how to control bad insects with non-pesticide techniques. Maintaining the Mountain Landscape Garden June 11, 2018 – 6:30 p.m.
New Plant Varieties for WNC July 9, 2018 – 6:30 p.m.
• Join Us for the Spring Gardening Symposium!